We all know exercise is good for us. However if your response to ‘Exercise is ….’ was not a positive statement then I have a few things for you to think about for it to be a bit more enjoyable. Who do you want to spend the time with? Do you want to spend the time with your family and therefore prefer to find activities that you can do as a family rather than you going to the gym on your own? Do you want to spend the time catching up with friends and rather than ‘coffee and cake it‘ find something healthy you can do with your girlfriends? Do you want to meet new people outside your usual social set by joining a running, martial arts, surfing or ski club depending on what part of the world you are in? Do you want to be on your own and carve out a little ‘ME time’ in your life? How do you want exercise and the time spent exercising to feel? Do you enjoy challenges and beating your pervious times/weights? You could ask a gym instructor to help ensure the goals are realistic and you can still work on your own. It’s important to get all the components of fitness into each session. If you don’t have much time then DVD’s at home can be useful to keep you exercising in a shorter period of time than getting to/from your gym. 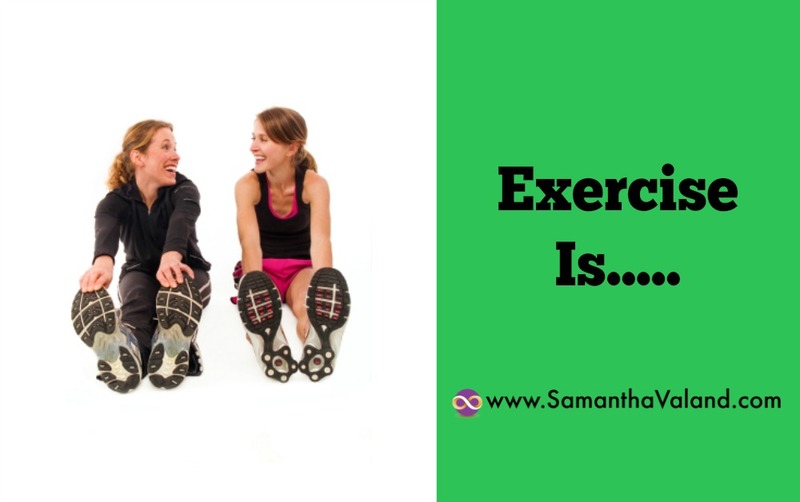 Do you have a specific reason for exercising? Measuring is a good motivator for some but can become stressful for others particularly if it feels like slow progress. High blood pressure and high cholesterol run in my family so they are both good nudges to keep me motivated. And like most women over 45 it is harder work than it used to be to keep my weight and waistline where I would like them to be! The blood pressure & cholesterol goals are ‘silent’ ones I don’t know how I’m doing until I’ve had a trip to the Doctors. For my shape I measure my waistline or use my jeans as a guide. I don’t have any energy to exercise – what do I do! Energy levels can fluctuate massively when hormone levels start to fall. Take the intensity levels down to and work on improving energy levels and reducing stress. Weight training, walking, swimming, Pilates, Yoga or anything else that feels manageable to you. Be aware that over exercising is as bad as under exercising. Even if you are doing the same amount as 5 years ago it may feel like over exercising to your body due to the changes approaching the menopause has on the body. Try to keep the habit of exercising or going to the gym, even if it is to use the sauna. It can be difficult to get back into the habit if you stop. Any exercise is better than none. Sometimes it is changing focus so working on flexibility or core strength and the challenges that brings can help to keep you motivated. So how does exercise make you feel? Energised is a good feeling to aim for!